Thank you once again for a very interesting read. HMS Poictiers was a Vengeur Class 74 gun third rate ship of the line, built under contract for the Royal Navy by John King at Lower Upnor. She was one of two ships of the class built at Upnor, the other was HMS Mulgrave. The Vengeur class were a group of 40 ships designed jointly between the Surveyors of the Navy, Henry Peake and Sir William Rule. For that reason, they were also known as the 'Surveyors Class'. They were the most numerous class of ship of the line to be built for the Royal Navy in the age of the sailing wooden warship. They were designed and built because of a realisation by the Admiralty that the average age of the ship of the line in the battlefleet was increasing and that a large number of ships urgently needed to be replaced. In addition to this, although the French and Spanish fleets had been put out of the war by the string of victories culminating at Trafalgar, in order to defeat Napoleon, the Royal Navy effectively had to blockade the whole of Europe. This pitted the Royal Navy against opponents as diverse as Denmark, Turkey, Russia and the United States. There was also a realisation that although the hard-won series of victories had given Britain control of the worlds oceans, it was only a matter of time before France and Spain built new fleets and the Royal Navy needed to be ready when or if the time came. The new designs were intended to fully exploit the advances in production technology and methods made possible by the Industrial Revolution. An example of this is that the frames of the ship, instead of being held together by a combination of mortise and tenon joints and wooden trenails, was assembled using iron plates and bolts. Of the 40 Vengeur class ships, 31 were built in private shipyards. This was because the Royal Dockyards were running at full capacity with repairs and there was no spare capacity for large scale construction projects. In order to achieve this, the Navy Board had been forced to be more accommodating on price. Up to 1803, the Navy Board had refused to pay more than £21 per ton for ships and was struggling to get private shipbuilders to take on contracts for large ships. 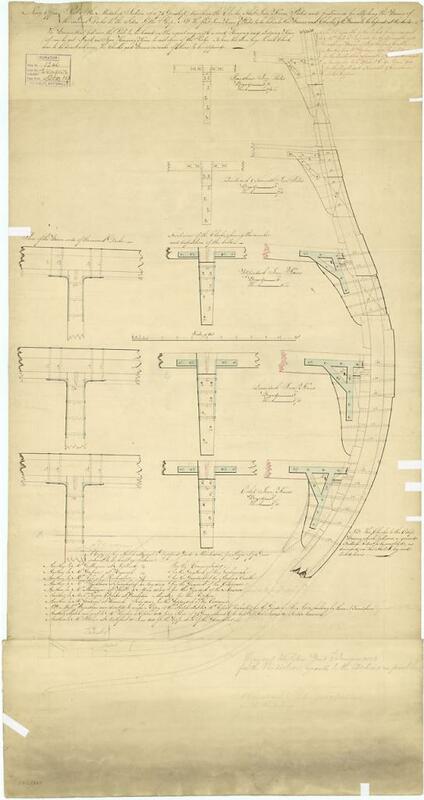 In order to get the new ships built, they had to accept that the price of timber had risen and was likely to rise further once the programme got underway. In the end, the prices for Vengeur Class ships averaged out at about £36 per ton across the class. One of the reasons for the higher price was that in addition to the price of timber going up, the new ships were considerably larger the ones they were intended to replace. Owing to the pressure on price, many of the contractors cut corners on construction of the new ships, to the point where there were differences in the ships performances at sea. HMS Vengeur for instance, sailed better than HMS Donegal, her sister ship, which in turn sailed better than HMS Berwick, another Vengeur class ship. Because of the various ways in which the builders sought to extract every penny of profit from the ships they were contracted to build and because of their patchy build quality and performance, the class became known as the forty thieves. HMS Poictiers was ordered from the shipyard of John King on Wednesday 1st October 1806. Her keel wasn't laid until August 1807. The reason was that John King moved from his previous yard at Beach Street, Dover to the new premises at Lower Upnor and the last vessel launched by him at Dover was the 16 gun Brig-sloop HMS Eclipse, on August 4th. Once that vessel had gone for fitting out, King laid down at Upnor HMS Poictiers, plus the small 10 gun Cherokee Class brig-sloops HMS Briseis, HMS Ephira, HMS Renard, HMS Cordelia and HMS Helicon. In addition, he also laid down the 18 gun Cruizer class brig-sloop HMS Rifleman. HMS Poictiers was launched into the River Medway on Saturday 9th December 1809. From there, she was towed upstream to the Royal Dockyard at Chatham and was fitted with her guns, masts and rigging. On completion, HMS Poictiers was a ship of 1,764 tons. She was 176'3" long on her upper gundeck and 47'9" wide across the beams. She was armed with 28 32pdr long guns on her lower gundeck, 28 18pdr long guns on her upper gundeck, 10 32pdr carronades and 4 12pdr long guns on her quarterdeck, with 2 32pdr carronades, 2 12pdr long guns on her forecastle and 6 18pdr carronades on her poop deck. She was manned by a crew of 590 officers, men, boys and marines. Up to her launch, the ship had cost £56,665 exactly. Fitting the ship out at the Chatham Royal Dockyard added a further £22,458 to the bill. A Model of HMS Cornwallis, a Vengeur Class ship built from teak by the Honourable East India Company at their shipyard in Bombay. In January 1810, HMS Poictiers recieved her first commander, Captain John Poer Beresford. His previous appointment had been as Captain in HMS Theseus (74) and HMS Poictiers was to be his last command before promotion to Rear-Admiral. He was the illegitimate son of the Marquess of Waterford and at the time he took command of HMS Poictiers, was also MP for Coleraine. The ship was completed on Friday 4th May 1810. HMS Poictiers commissioned into the Channel Fleet and was assigned to blockade duty. The new ship got straight into the action and on 28th July 1810, in company with HMS Shannon (38) and the ex-French HMS Seine (32), she recaptured the gun-brig HMS Starling of 12 guns. In March 1811, HMS Poictiers received a new commander, Captain Richard Jones. 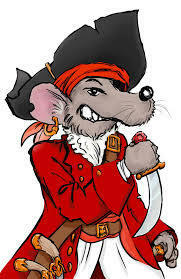 He took command after Captain Beresford was forced to take leave to deal with matters in his Parliamentary Consituency. On 22nd April 1811, in company with the gigantic first rate ship HMS Caledonia (120) and the tiny cutter HMS Nimrod (6), they took the French cargo ship Auguste. After removing the Frenchman's cargo of wine, the French vessel was destroyed. In January 1812, Captain Jones was replaced in command by Captain Samuel Jackson. On 21st March 1812, the French cargo ship L'Emilie surrendered to a force comprised of HMS Poictiers, HMS Tonnant (80), HMS Colussus (74) HMS Bulwark (74) and HMS Hogue (74). On June 18th 1812, the United States of America declared war on Great Britain. This was as a result of increasing tensions brought about by a number of things. British support for rebelling Native Americans, constant provocations from the French, British warships stopping and searching American ships at sea looking for deserters being just a few of the issues which, taken together, had led the Americans to their declaration of war; the first time the USA had ever declared war on anyone. In July 1812, Captain Beresford resumed his command having given up his position as MP for Coleraine. On 14th August 1812, HMS Poictiers sailed for North America. Before they departed, Captain Beresford was knighted by the Prince Regent for his services to Parliament. On 29th October, HMS Poictiers captured the brig Little William from the Isle of Mayo, bound for Philadelphia. On 3rd November 1812, the brig-sloop HMS Frolic (18) was captured by the U.S. Navy ship-sloop USS Wasp, also of 18 guns. HMS Frolic had put up a desperate fight against the American vessel, but had been forced to surrender after suffering 15 killed and 47 wounded. Four hours afterward, both ships were captured by HMS Poictiers. HMS Frolic was returned to duty and USS Wasp was taken into the Royal Navy as HMS Loup Cervier. For the next year or so, HMS Poictiers was engaged in enforcing the blockade of the American east coast, something Captain Beresford and his crew got to be very good at, despite her size. On the same day as recapturing HMS Frolic and taking USS Wasp, HMS Poictiers also took the brig Logan, out of Boston bound for Baltimore. On November 25th, she captured the ship Rebecca, out of Philadelphia bound for Madeira. On December 11th, the ship took the schooner Betsy, out of Providence, Rhode Island bound for Norfolk, Virginia. On 16th December, in company with HMS Acasta (40), she took the ship Pekin out of Boston, bound for Alexandria. Later the same day the two British ships, having been joined by HMS Maidstone (36) took the privateer brig Herald of 10 guns, out of Bordeaux bound for Baltimore. On 9th January 1813, she captured the Privateer armed schooner Highflyer with 6 guns. That vessel was on her way home from the Caribbean where she had made a number of captures. That vessel was taken into the Royal Navy as HMS Highflyer. On January 17th 1813, the same three ships took the ship Lydia, out of Providence, Rhode Island bound for Norfolk, Virginia. Later that month, HMS Poictiers, now acting alone, took the brig Savannah Packet, out of New York bound for Savannah. Also in that month, HMS Poictiers in company with HMS Acasta took the schooner Rhoda. The successes continued in the next month. On 24th February, HMS Poictiers in company with HMS Marlborough (74), HMS Dragon (74), HMS Victorious (74) and HMS Fantome (18) captured the American brigs GUstavus and Staunch. Later the same day, the same force captured the brig Hannah. In 13th March, she captured an unknown Swedish brig out of Martinique. Later the same day, the ship was in company with her squadron, HMS Victorious, HMS Dragon, HMS Marlborough, HMS Maidstone, HMS Belvidera (36), HMS Junon (38), HMS Laurestinus (22), HMS Acasta, HMS Fantome and the armed schooner HMS Paz (12), when they captured the American brigs Christina and on the following day, the American brig Massasiot. As soon as you receive this, I request you will send 20 live bullocks with a proportionate quantity of vegetables and hay to the Poictiers for the use of Britannic Majesty's squadron now at this anchorage, which will be immediately paid for at the Philadelphia prices. If you refuse to comply with this request I shall be under necessity of destroying your town. J. P. Beresford Commodore and commander of the British Squadron in the Mouth of the Delaware.". You can just imagine the reaction of the authorities in this quiet American town. The commander of the American garrison in the town, Colonel Samuel Davis understandably refused the request. On 29th March, HMS Poictiers was in company with HMS Bevidera and HMS Paz when they captured the American ship Montesquieu. On 6th April, HMS Poictiers returned to Lewes and recieved Col. Davis' refusal to comply with Captain Beresford's earlier demand. In response, the ship bombarded the town on both 6th and 7th April, but failed to do any significant damage or cause any casualties amongst the enemy there. To this day, there is still a cannon ball from HMS Poictiers lodged in the foundations of the building which now serves as the town's maritime museum. After that, it was back to the business of enforcing the blockade of the American east coast ports. On April 17th, the ship captured the Portugese registered schooner Alliance, out of Boston bound for Jamaica with a cargo of flour. That vessel was sent to Bermuda with a prize crew. On 28th April, the British schooner Bermuda was recaptured whilst en route from Bermuda to Philadelphia. Captain Beresford decided to keep the vessel and use her as a tender. On 1st May, the American ship Provience, out of Philadelphia bound for Boston with a cargo of flour and corn was captured and was also sent to Bermuda with a prize crew. On 10th May, the American ship Factor, out of Philadelphia bound for Boston with a cargo of cotton was taken. The numbers of prizes being taken must have depleted HMS Poictiers' crew because on this occasion, Captain Beresford decided to take the cargo out of the prize and set her adrift. I beg to acquaint you that today, the Maidstone, in company with the Poictiers and the Nimrod, captured after a chase of about four hours, the York Town, American Ship, Privateer of twenty guns and 140 men. She was returning from a cruise; she is in all respects well fitted and suitable for His Majesty's service. Yorktown was sent into Halifax, Nova Scotia, presumably with a prize crew from HMS Maidstone aboard. She wasn't the only vessel taken by HMS Poictiers, HMS Maidstone and HMS Nimrod acting in company. On August 13th, the brig Anna of 125 tons out of Newhaven bound for Laguira was taken by the trio and on August 18th, the ship Manchester was also taken. On 29th August whilst acting alone, HMS Poictiers captured the brig Mariner and on 3rd September, the brig Watson was also taken. In 1814, with the end of the war with France, HMS Poictiers was ordered home and paid off at Chatham. After paying off the ship, Beresford resumed his political career and became MP for Coleraine again. In the same year he was made a Baronet and was promoted to Rear Admiral. He became Commander-in-Chief at the Nore in 1830 and was MP for Chatham between 1835 and 1837. The war with the Americans was ended by the Treaty of Ghent in February 1815. It was actually signed by both parties on December 24th 1814 and was ratified by the British Parliament on the 30th. The American COngress however, didn't ratify it until 16th February 1815. In April 1815, HMS POictiers entered the Royal Dockyard at Chatham for a major refit and repair, which was completed in September 1817 after having cost £51,601. After that, the ship was placed in the Ordinary at Chatham. In March 1836, she was moved to Sheerness where she was convered to a Depot Ship. In September 1837, this was complete and the ship took up her new role. In 1848, she was moved to Chatham. In 1857, she was broken up at Chatham, the process being completed on 23rd March 1857. The ship's figurehead was placed in storage and was displayed in the museum at Chatham Dockyard until the 1920's when it was moved to Sheerness and put on display in the Dockyard there. Unfortunately, years of being out in the open took it's toll and by the 1980's it had deteriorated to the point where it was beyond saving. 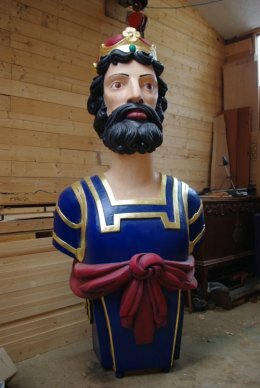 Andy Peters at Maritima Woodcarving was commissioned to analyse the remains of the original figurehead and make a reproduction of it. 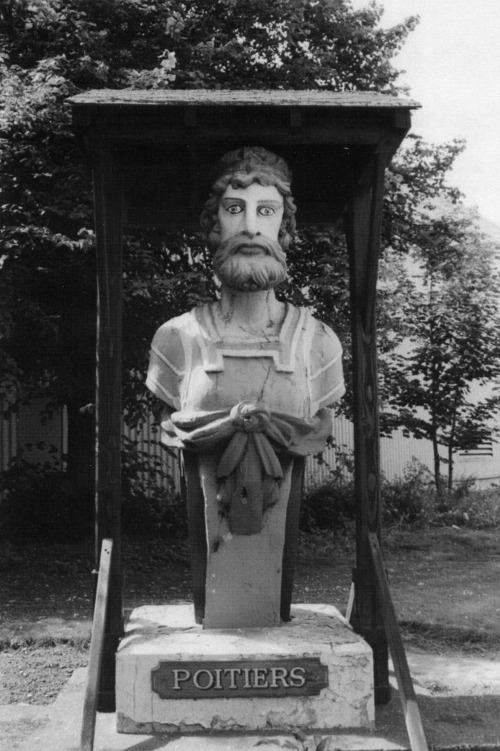 In 2008, Peel Ports donated the new figurehead to the Bluetown Heritage Centre, where it is on display.